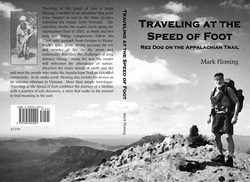 To purchase a single copy of Traveling At The Speed of Foot, simply click on the PayPal link below. You may be able to save on shipping if we can arrange a personal delivery. Instead of the Buy Now button, use the contact form to inquire and we'll go from there.